Moridi (Tehran, Iran) on 23 December 2013 in Art & Design and Portfolio. An artwork that made ​​of enamel tiles .In the center of it, the holy name of Jesus is written and his titles are written around. @maedeh ashrafi: Thank you for your attention. @saman: Thank you for your attention and guidance. This photo is taken from a historic home in Bushehr. @Martine Libouton: Thank you for your attention. @tataray: Thank you for your attention. @omid: Thank you for your attention. @Lougris: Thank you for your attention. @mahdi: Thank you for your attention. @Universe: Thank you for your attention. @AMH: Thank you for your attention. Rayonnant comme une fleur à 8 pétales. Superbe mosaïque plus abstraite qu'une représentation en croix. @thami: Thank you for your attention. Beautiful image. The color and the design is gorgeous. Amazing craftsmanship. @Elaine Hancock: Thank you for your attention. How beautiful this is ... I love the colors; Jesus is my Lord. @Judy aka L@dybug: Thank you for your attention. Beautiful ! very nice textures. @Lena Che: Thank you for your attention. Superb detail for a Christmas week! @Jean-Louis Guianvarc'h: Thank you for your attention. @Devi: Thank you for your attention. @Steyn: Thank you for your attention. @John Jungklaus: Thank you for your attention. @Jypyä Pop: Thank you for your attention. @Diana: Thank you for your attention. @Ms. khalatbari: Thank you for your attention. @parviz Falahatkar: Thank you for your attention. @claudie: Thank you for your attention. @Tomix: Thank you for your attention. @Hossein Saharnaz: Thank you for your attention. @Amirreza Tavassoli: Thank you for your attention. Belle œuvre d'art !!!! et belle photo !!! Beautiful work of art!! and beautiful photo !!! @michel creze: Thank you for your attention. Superb artwork !... 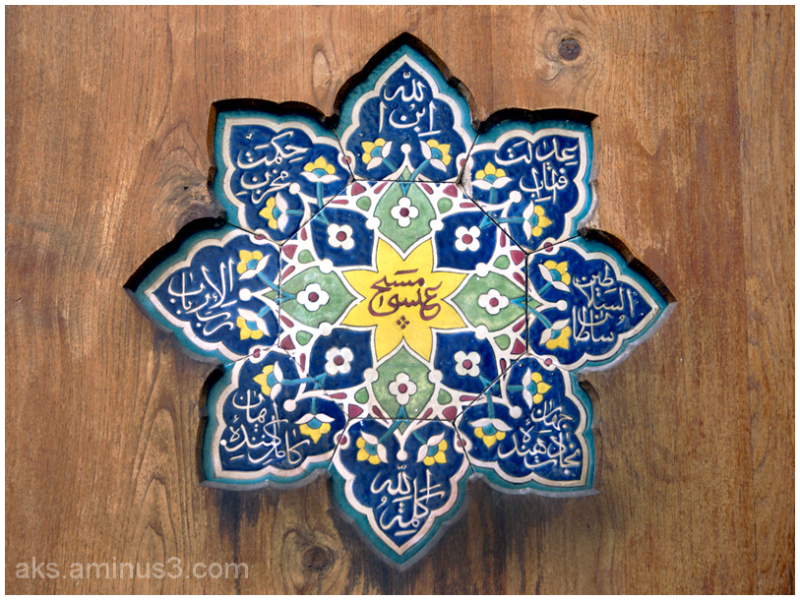 The blue colors are wonderful and the persian letters are so artistic ! @theven: Thank you for your attention. A mix of 2 religious sign ! For me it means God is there for all of us . It is not important what is our religious . Good saying in an appropriate day. @farNaaz: Thank you for your attention. @Hiro: Thank you for your attention. @Amir Golipour: Thank you for your attention. This is gorgeous! What a lovely tribute to Jesus. @Ruthiebear: Thank you for your attention. @Willem: Thank you for your attention. @Jules: Thank you for your attention. A Happy and Healthy Christmas to you and your family. @Michael Rawluk: Thank you for your attention. @rem_la: Thank you for your attention. @سيد حسن كاوشي: Thank you for your attention. Beautiful composition! Merry Christmas to you and yours! @mo.langel: Thank you for your attention. Very nice photo. Merry Christmas to you and your family. @Bruce: Thank you for your attention. @Lewis: Thank you for your attention. @Shaahin Bahremand: Thank you for your attention. @Kate: Thank you for your attention. @HAMZEH: Thank you for your attention. @Lalena: Thank you for your attention. Great image for today, all the best. @Daryl Johnson: Thank you for your attention. A lovely photo. Merry Christmas! @Steve Rice: Thank you for your attention. Beautiful! Peaceful Christmas time to you! @Marilla: Thank you for your attention. @Nelida De La Fuente: Thank you for your attention. @Julie L. Brown: Thank you for your attention. @MRG*Photographics: Thank you for your attention. @danthro: Thank you for your attention.